Are you looking to rent a portable storage container in Miami-Dade County to securely store items for your home or business? You have come to the right place because every day Aptera helps thousands of customers temporarily store everything from furniture and appliances to extra inventory for seasonal businesses. Renting portable storage in Miami isn't just convenient, low monthly charges mean that you save over existing and less accessible options like off-site storage in a warehouse. Chances are you no longer have room in your attic or garage to cram more belongings, and at the same time you don't want to hassle with driving to a warehouse to access your items. For the best of both worlds, renting portable storage containers in Miami, Hialeah and Miami Beach gives you flexibility for around half the price of traditional storage options. Flexibility - You don't need to drive anywhere to get to your storage. Security - Steel storage containers in Miami-Dade County keep out wind, rain, and reduce theft. A necessity for storage on constructions sites with expensive equipment. All steel construction serves as a deterrent to break ins. Beauty - With Aptera portable storage in Miami-Dade County you can expect a relatively fresh coat of paint and no visible rust. Function - Swing out doors are smooth and easy to use, even with one hand. Custom optional add-ons available for any storage use including interior shelving, wiring for electricity, doors on both ends of the container, windows, ventilation and more. Sealed Tight - Unlike your garage, a storage container will seal out moisture and reduce the likelihood of mold and damage from moisture or pests. Pick a size - Start by estimating the cubic volume of the items you want to store. Aptera's portable storage companies in Miami-Dade County can not only help you estimate the volume, but match you to the right container in their inventory. Since the cost difference from a 20 foot vs. renting a 40 foot container in Miami is minimal, Aptera recommends that you err on picking a bigger size. This helps you avoid the cost (and big hassle) of ordering another container. Schedule delivery - Choose a convenient time when you will be able to assist the delivery driver when they arrive. Same day or next day delivery is often available, but please plan a few days ahead to ensure we can accommodate your needs. Prep the delivery area - Ideally you will have a smooth, flat area around your home or construction site where it can be placed. If you have decorative concrete or fresh pavement and are concerned with scratching the ground, you can place the storage container on top of wood blocks. Should I buy or rent a storage container in Miami-Dade County? Most Aptera clients opt to rent as their need for extra storage is only temporary during remodeling, construction or an event. However, if you need to store items for longer than 12 months it is worth considering purchasing a portable storage container in Miami. If you can overcome the main obstacle of the upfront cost (typically over $3,000 for a 40 foot, wind & water tight container), then it may be the choice for you. Is there anything I cannot store in the container? Other than radioactive waste, you can store anything you need in a container you rent from Aptera partners. We only ask that any liquids or acids be properly sealed so they do not damage the containers. How do I know I am getting the best prices on portable storage in Miami? For starters, Aptera only works with a select few portable storage companies in Miami-Dade County that have proven a multi year track record of taking care of customers at reasonable rates. You can get even lower rates by renting a container for a longer period of time, renting multiple containers, and simply asking for a good customer discount if you have rented before. When I no longer need storage, how long does it take until the container is picked up? Pick up can take up to 72 hours during the busy season, but Aptera partners shoot for 24 hours. If you schedule your pick up in advance you can nearly always get the container picked up on the exact date you want. Do you offer portable storage pods? When most people ask about storage pods they are referring to smaller, typically 5 ft. x 5 ft. storage containers built from wood or composites that were popularized by PODS Enterprises. You will not find these containers with Aptera, as we focus on all steel, highly secure portable storage containers for Miami-Dade County businesses that require storage of highly valuable items. How big are the containers? 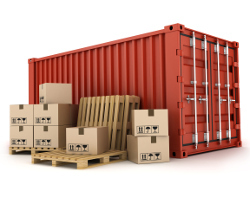 Though there are custom sizes in the inventory, you can typically rent 40 foot, 20 foot and 10 foot containers. Most containers are 8 feet in height and width. Interior dimensions reduce this by a few inches, so expect usable space of just over 7.5 feet in height and width. Miami 10 ft portable storage container rental costs $83, 20 ft portable storage container rental costs $95. Hialeah 10 ft portable storage container rental costs $105, 20 ft portable storage container rental costs $120. Miami Beach 10 ft portable storage container rental costs $79, 20 ft portable storage container rental costs $91. Homestead 10 ft portable storage container rental costs $88, 20 ft portable storage container rental costs $102. North Miami Beach 10 ft portable storage container rental costs $81, 20 ft portable storage container rental costs $93. Opa Locka 10 ft portable storage container rental costs $81, 20 ft portable storage container rental costs $93. Key Biscayne 10 ft portable storage container rental costs $87, 20 ft portable storage container rental costs $100. Ochopee 10 ft portable storage container rental costs $90, 20 ft portable storage container rental costs $104.